After spending 13 years working in the accounting and customer service departments of a manufacturing company, Narissa’s focus is now on meeting the specific needs of each client she works with and making the home buying and selling process as smooth and as enjoyable as possible. She is committed to maintaining open communication between her and her clients so no questions go unanswered. 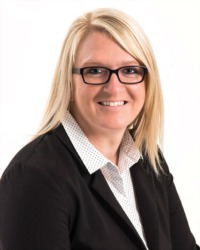 Focusing on not just the business aspect of the home buying and selling process, Narissa maintains a personal level of commitment to fulfilling the goals that each client has set for themselves. 1) I am a die-hard Boston Red Sox and New England Patriots Fan! 3) I once tried out for a professional softball team. 4) I love doing home improvement projects with my husband. 5) I am named after a cabbage patch doll. 7) I am the youngest of four children and I have 11 nieces and nephews. 8) Mel Gibson and Vince Vaughn spoke at my college graduation. 9) I have traveled to India. 10) I love to read. I can’t say I have a favorite author, but #11 and #12 definitely would make my list! 11) My favorite book is To Kill a Mockingbird by Harper Lee. 12) I am a sucker for Nicholas Sparks books and movies. I even drug my husband to his hometown and drove passed his house! 13) I have been to Fenway Park…twice! 14) I once sat court-side at a Portland Trailblazers game and made it on ESPN! I still cannot believe how tall those players are in real life!! 15) I have a West-Highland White Terrier named Vincent who thinks he is human. 16) My husband has caused me to become a coffee addict. 17) I enjoy traveling and am looking forward to taking a trip to Mexico soon! 18) I love going to concerts. 19) If I could choose any job in the world, I would be a play-by-play announcer for the Red Sox! 20) I still love to color, even as an adult, but I will only use Crayola crayons! 21) I love to do laundry, but hate to do dishes. 22) I have walked 3 mini-marathons. 23) My mom is my hero. 24) I am super competitive and my favorite people to beat in absolutely anything are my brothers! 25) My husband and I met when I was 17 because I noticed his Jeep and thought it was really cool. Needless to say we still have that Jeep almost 14 years later!